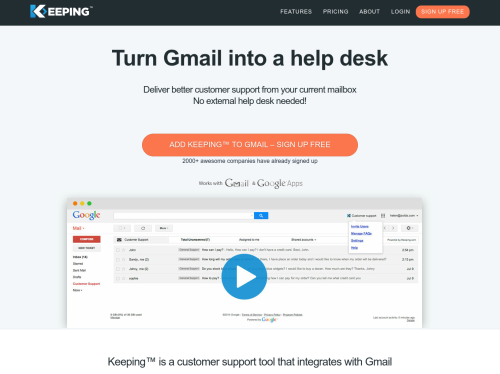 Keeping™ is the world’s first help desk that works inside Gmail. It's a customer support tool that integrates with Gmail/Google Apps. It allows a team to manage customers support more efficiently directly from their current mailbox without having to use an external helpdesk.